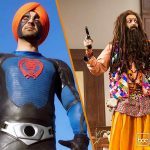 Superstar of Punjabi Cinema, Diljit Dosanjh starrer this Friday released Super Singh is getting excellent response at box office across the country as well as overseas. Being a first Punjabi superhero movie, it was released with huge excitement of fans as well as Punjabi audience. Anurag Singh’s directorial Super Singh is being liked by all the viewers and received positive reviews critics. The favorable response has generated positive word of mouth about it, which is attracting more audience toward theaters. 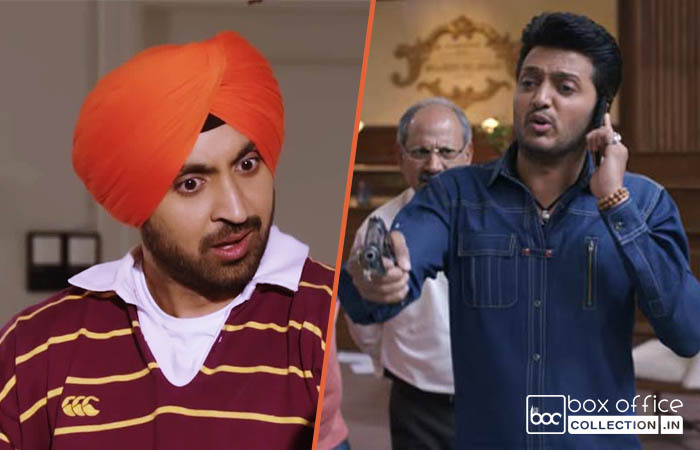 In the opening weekend, Diljit and Sonam Bajwa starrer remained strong throughout and did the business of 5.75 crores from around 350 screens, that included 1.80 crore of Friday, 2.05 crores of Saturday and 1.90 crore of Sunday nationwide. Now the movie is running in weekdays and despite normal working days, it still has good hold over the audience. On Monday, it minted the amount of 1.10 crore with 39% of drop than Friday. Then on the next day i.e. Tuesday, with further dip Super Singh managed to collect 0.95 crore and made it’s 5 days domestic total 7.80 crores. It seems to collect over 9.25 crores nett by the end of this week. On the other hand, Hindi offering that was also released on the same day Bank Chor got failed to attract audience toward theaters and received unfavorable reviews from most of the critics. In the first weekend, Riteish Deshmukh and Vivek Oberoi starrer this comic thriller raked the business of 4.36 crores with 1.40 crore on Friday, 1.66 crore on Saturday and 1.30 crore on Sunday from 700 screens at domestic box office. In weekdays, it witnessed abrupt fall in footfalls and registered the business of only 0.91 crore on Monday with 35% of drop than Friday. On Tuesday, Bank Chor recorded more drop and minted 0.81 crore to raise it’s 5 days total to 6.08 crores.